Are you aware that Stampin'UP! has Digital Software? This software can make cards, scrapbook pages, calendars, banners, flyers and more. The software has images of Stamps, Paper, Printed Designer Paper, Ribbons, Brads, Buttons, Punches and more. and more tricks than I can even mention here. And consider the cost: Once you own the file you can use it forever! For example, when you buy a set of buttons, after you use them up, you need to buy more. When you buy the digital file you never use them up, you just keep re-using the file. Are you worried about learning a new program? Don't be. Stampin'UP! has created a support site called www.mydigitalstudio.net. This site provides training and samples as well as a user's forum containing tons of useful information and helpful tips from other users. And the best thing is - you can try it for FREE for 30 days! Wow, 30 days to play with it and see all the samples on the site and get help from other users and view the training. And 30 days to make samples and print them off on your computer, or save the files for later. CLICK HERE for your FREE trial. Not into digital at all? Thats OK. I love the feel of paper in my hand too. 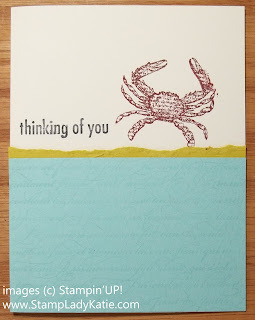 But here's a special tip: I love to browse the digital samples because I get ideas for things I can do with my real stamps. 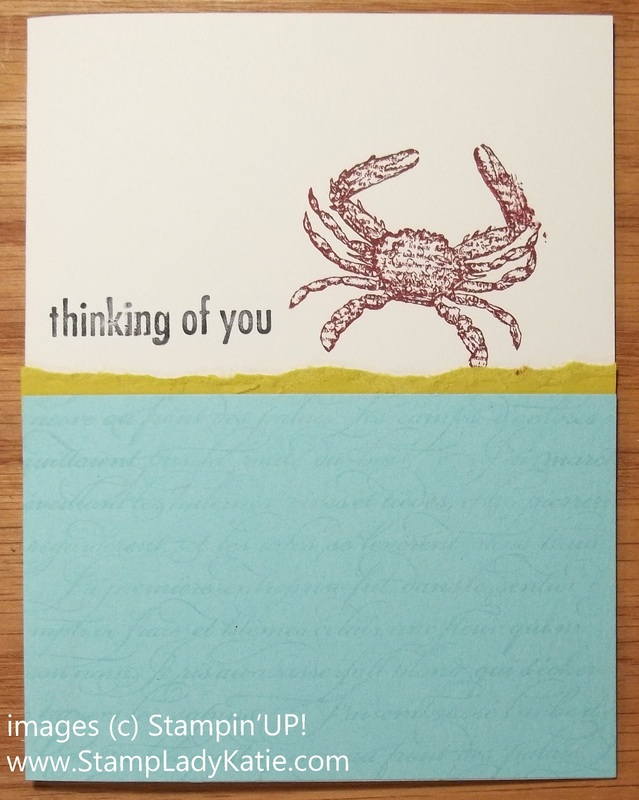 For example, I made this card with my real stamps. 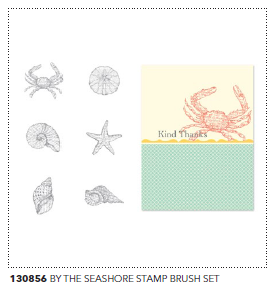 But it is almost a direct copy of a sample shown on the flyer for the By the Seashore Digital Stamp Set. You can see small differences. The sample card was made with Designer Paper and I used the En Francais Background Stamp. But I loved the look of the Digital Sample so I used it as a guide to make my paper version. **So, if you are looking for more ideas then check out the digital gallery. 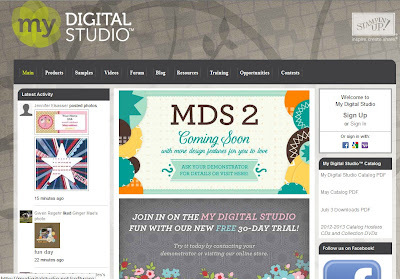 **And if you think you'd like to play with the digital software, you can get your FREE trial HERE.